Severe Weather and Tornado Shelter Construction in Middle Tennessee - The Hybrid Group Inc.
Spring is a welcome relief from the chill of winter. Along with the trees and flowers blooming here in Middle Tennessee, the spring also brings weather systems sweeping through the state with severe storms. The threat of thunderstorms and tornados are all too real. With the rocky terrain of our beautiful middle Tennessee area, building full basements is uncommon. So where can we go to protect our families in times of severe weather? A home or storm shelter built with reinforced concrete is your answer. 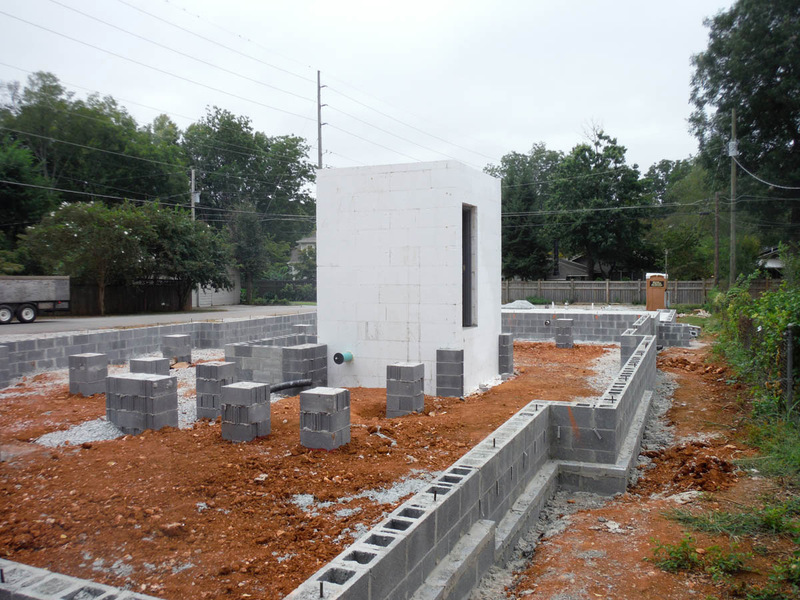 With Insulated Concrete Forms (ICF), we can create a tornado resistant home or commercial building. With ICF, Expanded Polystyrene Panels are used as forms for the walls, reinforced with steel rebar and filled with concrete. This technique results in a building that is wind resistant, fire resistant and energy efficient. Residential ICF can be used to build your entire home—offering maximum efficiency and strength. Commercial ICF can be used to build freestanding office spaces, schools, retail, warehouse, distribution and other business structures. All buildings utilizing ICF technology offers reduced lifecycle costs, maintenance as well as disaster and severe storm resistance. There are many benefits to building with ICF technology, but its unsurpassed resistance to the devastation of major storms is an attractive feature for homeowners and business owners looking for safety and security in Middle Tennessee’s Tornado Alley. Add value and safety by building your home or business with ICF. What can you do if your current home was not built with ICF technology? Add an ICF Safe Room. A New Master Closet Addition can be built with ICF walls, a concrete lid and a steel door to create a room that protects you and your loved ones and valuables in times of disaster. You’ll have the peace of mind that comes with knowing your family is safe. At The Hybrid Group, we’re experts in both Residential ICF and Commercial ICF construction and serve Murfreesboro, Smyrna, Nashville, Franklin and all surrounding areas in Middle Tennessee. We’ve been building with ICF since 2000 —from custom homes, commercial structures and tornado shelters, we’ve got you covered—literally. Contact us today for more information.